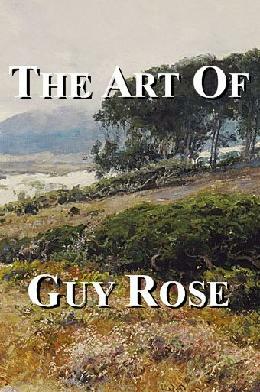 The Art and History of Guy Rose [1867-1925] an American Impressionist Artist! Buying & Selling Fine Guy Rose Paintings! 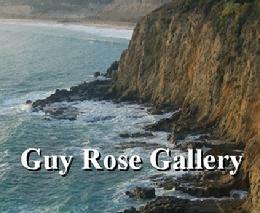 Guy Rose Gallery is devoted to the art of Guy Rose (1867-1925) an early California Impressionist painter! We are buyers and sellers of fine Guy Rose paintings -- on this site you will find a Guy Rose biography, historical information & helpful links that we hope you enjoy and find useful. If you are interested in purchasing Guy Rose paintings, you may wish to add your name to our mailing list to be notified of new availabilities! It is interesting California born Guy Orlando Rose eventually painted in France and was influenced by the great masters of French Impressionism. He was born March 3, 1867 in San Gabriel, California and was the seventh child of Leonard John Rose and Amanda Jones Rose. His passion for art drove him to be eventually recognized as one of California's top impressionist painters of the late 19th and early 20th centuries. His talent and importance to Impressionism and to the California Impressionist art movement is recognized and respected internationally and throughout the United States. Born the son of a prominent California senator, young Guy Rose was raised on a large Southern California ranch and vineyard -- the town of Rosemead bears the family name. In 1876 he was accidentally shot in the face during a hunting trip with his brothers. While recuperating he began to sketch and use watercolors and oil paints. He graduated from Los Angeles High School in 1884 and moved to San Francisco where he did his art training at the California School of Design.... [Guy Rose Biography continued on Next Page]. Our Commitment is to help preserve the vanishing treasures of Guy Rose's art for the benefit of present & future generations of collectors, museums, scholars, students and art lovers. In that regard we can be your resource tool for the research, evaluation, conservation, framing and care of your valuable painting -- and, if you wish to sell we can find a good home for your painting, many of our buyers are always interested in knowing about new Guy Rose paintings in the marketplace!